This is a superb new release even by the high standards that we have come to expect from both Steven Isserlis and Hyperion Records. 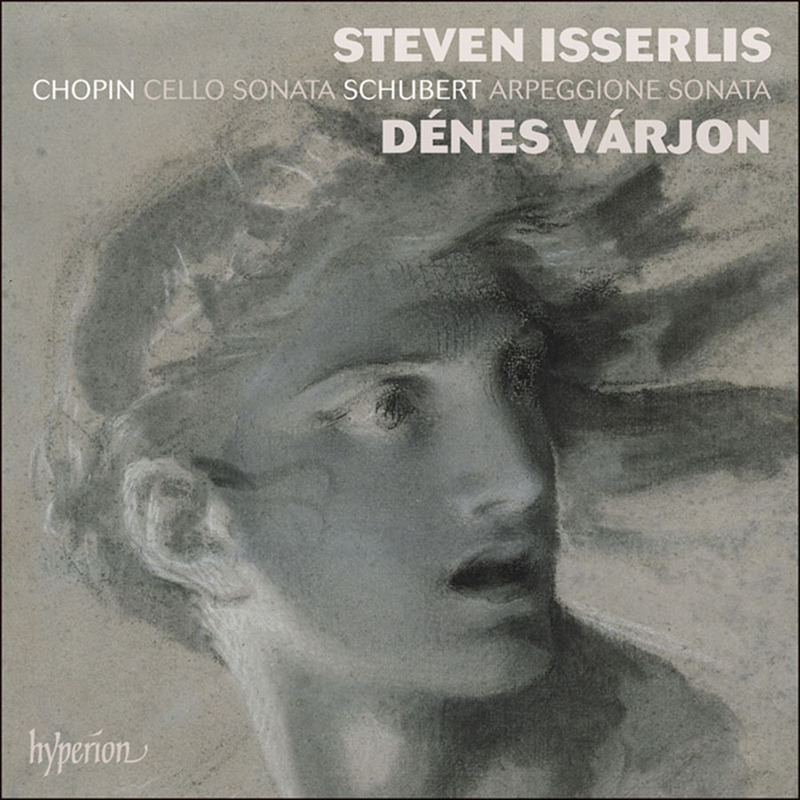 Chopin is not a composer that springs to mind when thinking about Steven Isserlis but in addition to the simple elegance of Schubert’s Sonata in A minor ‘Arpeggione’, D821 we have Chopin’s Cello Sonata in G minor, Op. 65 and the attractive, early Introduction and Polonaise Brillante in C, Op. 3 together with a few shorter pieces. This is an intelligently put together programme that begins with the simple but highly engaging Introduction and Polonaise Brillante in a performance that will surely have you smiling. Next we hear Chopin’s cello sonata, one of only a handful of works by Chopin not written for the piano alone. This was Chopin’s final composition and it is well worth exploring, particularly in such a fine performance as this. It makes me wish that Chopin had more frequently explored compositions for other instruments beside the piano. The inspiration for Chopin’s cello sonata came, at least in part, from his cellist friend Auguste Franchomme so it is fitting that we should also hear Franchomme’s highly attractive Nocturne in C minor. The other major work on this release is Schubert’s Arpeggione Sonata in A minor (performed, as is customary nowadays, on the cello). This is given a fine performance that conveys the notion of a light charming piece but one with a deep underlying sadness. Everything is rounded off with a Schubert song, Nacht und Träume, that has been expertly transcribed for cello and piano by the cellist and conveys great sadness. Listening to this release, as a high resolution download, played back via a dCS Rossini DAC and dCS Rossini clock into a pair of Quad ESL 2912 electrostatic loudspeakers fed by a pair of Quad II – Eighty valve mono power amplifiers in a suitably-sized room was a most moving experience. It was as if Steven Isserlis and his 1726 ‘Marquis de Corberon’ Stradivarius were present in the listening room as the instrument sang, projected and faded with Denes Várjon’s Erard piano adding an ideal clarity to the music within the acoustic of the Concert Hall, Wyastone Estate, Monmouth. Congratulations to both soloists and the recording engineers. This must surely be our recording of the month – and as a bonus there are some most erudite notes in the accompanying booklet written by Steven Isserlis. Most highly recommended! Hyperion recordings are not currently available on any streaming platform.